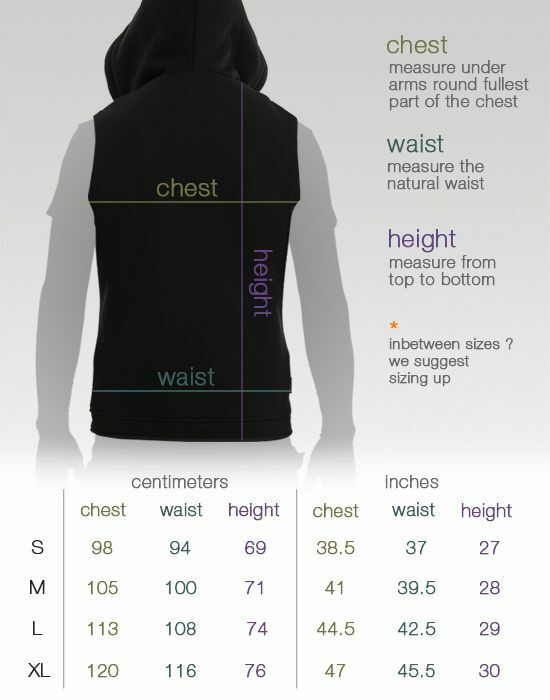 Fits according to size chart. Came fast and fit very well. This sleeveless hoodie really is nice.